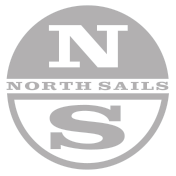 North Sails makes fast and versatile sails for the Seascape 18 class, manufactured using the most advanced technology and highest quality materials in the industry. Our Seascape 18 experts are available to help you get the most out of your North Sails product offering sound advice, tuning information and expertise. All Purpose The North Sails' Seascape 18 mainsail features a radial construction that provides shape in exactly the position that is required, making it a fast and easy to trim sail. Made out of Polyester laminate. All Purpose North Sails jib for the Seascape 18 developed in conjunction with the M-1 mainsail. The J-14 features a full radial layout that spreads the sheeting load to create a smooth, fair and fast sail. Built using Polyester laminate. All Purpose A fast, all purpose and easy to trim spinnaker for the Seascape 18 class.